Do you feel exhausted because you’re trying to be everything to everyone when it comes to marketing your beauty business and servicing your clients? Discovering your niche or specialty could be the game changer, especially if you feel like you’re trying to please everyone. Are you having trouble attracting your dream clients because you can’t seem to get your marketing message nailed down? Perhaps you are charging less than your peers because you aren’t positioning yourself as a specialist. Or, you find yourself re-doing your menu AGAIN, only to learn that is not the answer. There is a way to handle these issues with one solution. 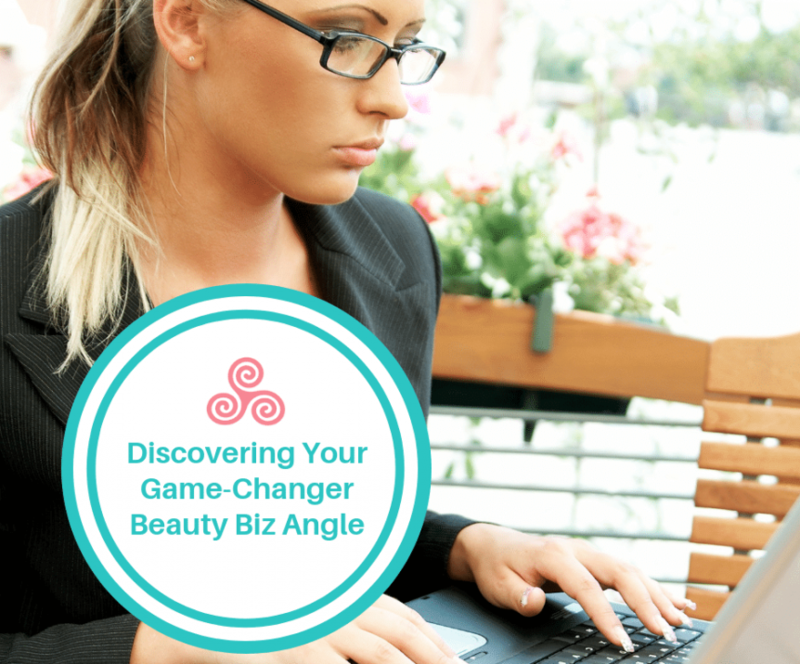 You can solve them in one fell swoop by identifying the niche for your beauty business. Once you have narrowed down “what you do, how you do it, and whom you do it for” – your message to your community will become clear and focused. 1. Is Fear Holding You Back From Picking a Niche? Many estheticians are reluctant to pick a niche because of the fear of missing out. So they try to be everything to everyone, making service menus too broad, with a lost focus in their offerings and marketing messages. If you want to be known for a specialty, you have to let go of everything else that could distract you from honing in on your skillset and market positioning. Keep in mind that when you focus your attention and resources on your niche, you’ll be able to develop the expertise you need to serve your clients better while getting paid more – a win-win! 2. Where is the Sweet Spot? There are many factors that could affect how you choose your niche. You should have a passion for your specialty, yet it should be something your clients are asking for as well. What is in demand that sets your soul on fire? Look for opportunities and keep an open mind so you can find that sweet spot where your passion, skills, and market demand meet. For me, I honestly have to say that my niche found me. I went to esthetics school because I wanted to deliver skin treatments. Then, I discovered that I was really good at Brazilian wax and the referrals came pouring in. Before I knew it, I was servicing 5-6 Brazilian wax clients per day! Of course, we have a very good idea of what we want to do in the treatment room but shouldn’t the market have a say in that too? After all, you’re running a business and you have to make sure that people are willing to pay for your services. First, define your market – who are your ideal clients and what challenges can your products and services solve? Examine what your community wants instead of what you think they need. Then, pay attention to what they’re saying and listen to those “wants”. What are they asking for? You can often glean a lot of insights if you just talk to your clients and listen carefully. 4. Do You Rock Those Skills? In order to be known as an expert, you have to be exceptional at what you do. If you’re passionate about something but not excellent at it, you may want to devote some time and energy and practice. It’s important, to be honest about your knowledge, strengths, and skillset. Don’t overlook a skill that might seem easy just because it comes naturally to you – it may be exactly what you should focus on! For example, performing Brazilian wax was effortless for me and I was able to quickly hone in on my skills and become the best in town. In addition, when you have chosen a niche, make sure to continue educating yourself on the latest technology and keep polishing your protocol so you can stay ahead of the curve. 5. Is Your Market Oversaturated? Are you in a competitive market with many estheticians offering similar services? If so, you may need to evaluate the viability of your niche. That’s not to say that you have to give it up altogether. In fact, it’s a great opportunity for you to dig deeper and hone in on your market positioning. For example, what do you want to be known for and how will you stand out from your competition? How will you differentiate your services? What would you offer that’d make your ideal clients choose you over other estheticians? Then, how would you communicate your services differently? By honing in on your niche, you can build a solid foundation from which to cross-market other offerings. For example, after I built trust with my Brazilian wax clients, it became rather effortless to convert them into facial clients as well. Becoming a successful beauty professional requires more than perfecting your skills in the treatment room. Getting the right knowledge in business, marketing, and leadership will differentiate you from the pack. Make learning your competitive advantage and transform your beauty business and enrich your life by joining a group of successful beauty professional at this year’s Beauty Business Summit.